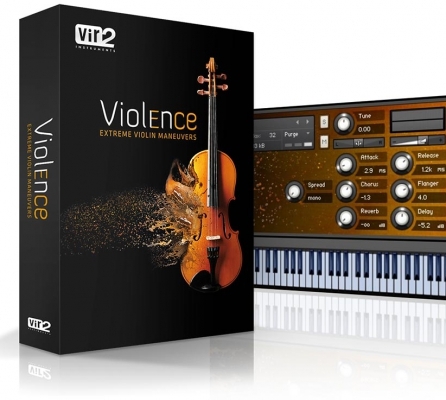 Violence is a multidimensional and innovative virtual instrument focusing on extremely unusual textures, manglings, distortions, and perspectives on the solo violin. The inspiration for Violence came from the influential American composer John Cage, whose extensive experiments with prepared piano yielded new timbres and effects. What Cage did on the piano, Violence brings to the violin: a new and unorthodox approach to a traditional instrument, yielding amazing and fresh new instruments, textures, and sound design elements. Violence combines physical alterations with digital manipulations for a sound that straddles acoustic and electronic realms.